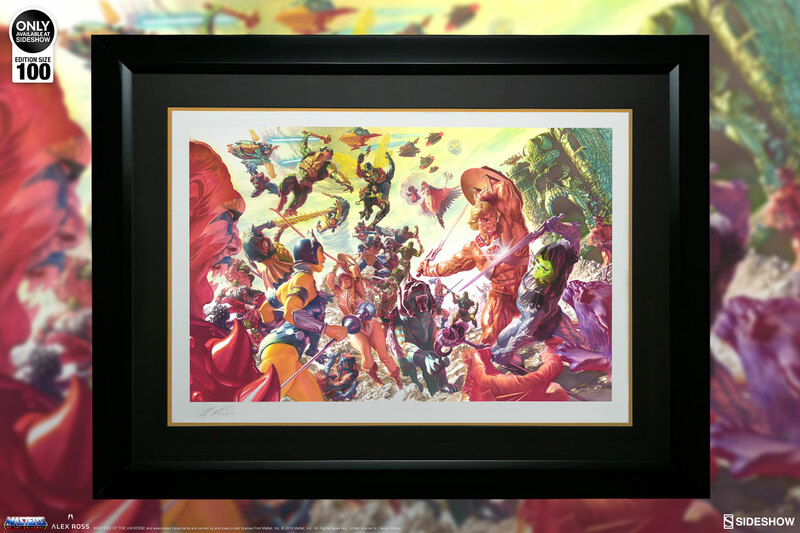 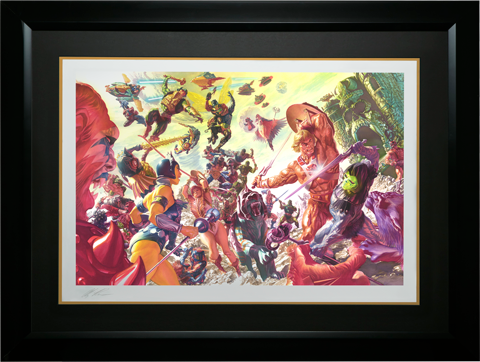 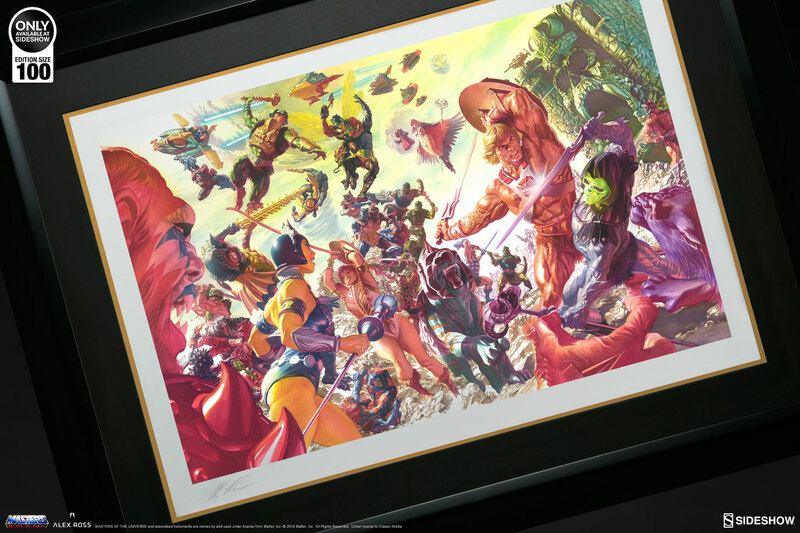 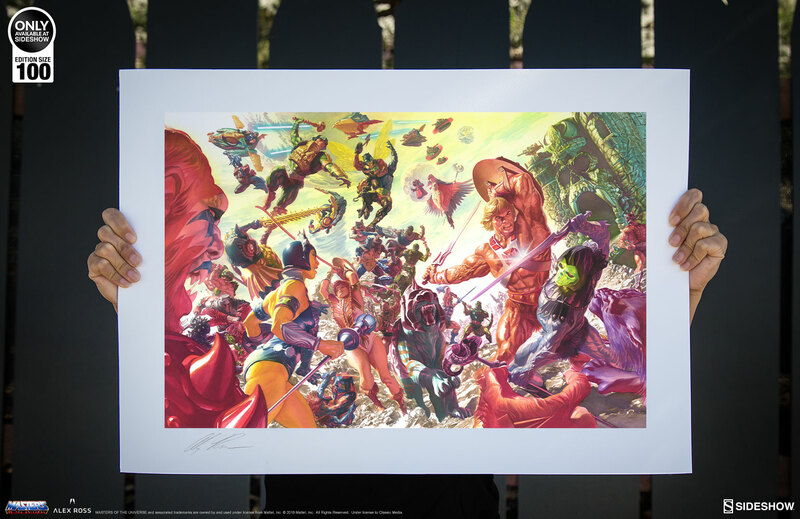 Sideshow and Alex Ross Art are proud to present the Masters of the Universe Fine Art Lithograph. 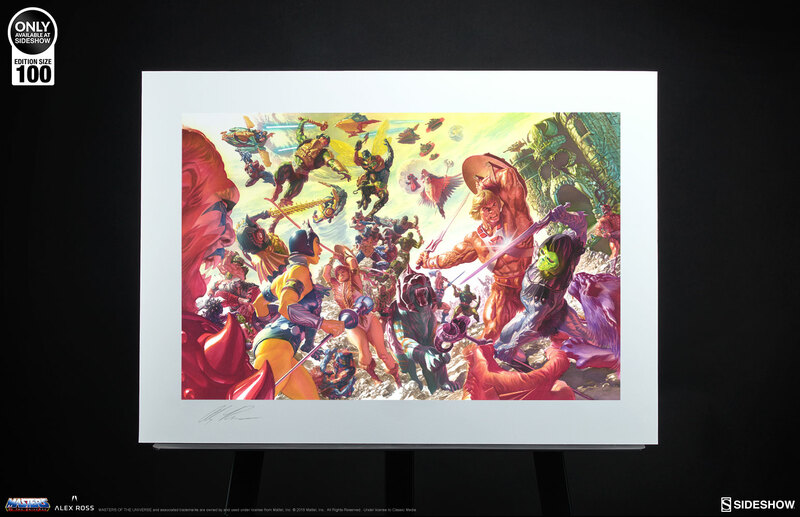 Available for the first time ever as a brilliantly rendered full-color illustration, the Masters of the Universe Fine Art Lithograph has been specially reproduced for Sideshow in an exclusive limited edition of 100 pieces. 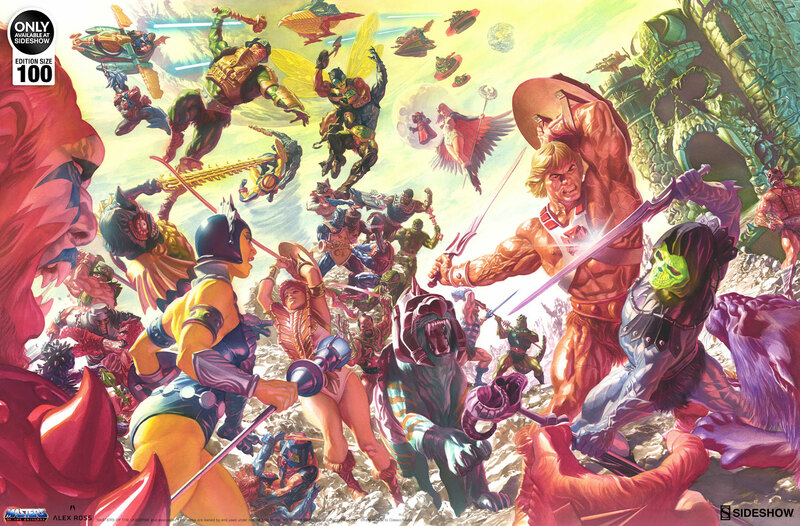 A tribute to all that is MOTU, this image assembles the most heroic and villainous warriors in Eternia as they face off for control of Castle Grayskull. He-Man and Skeletor are locked in an epic battle, joined by both good and evil allies including Teela, Battlecat, Evil-Lyn, and Beast Man. 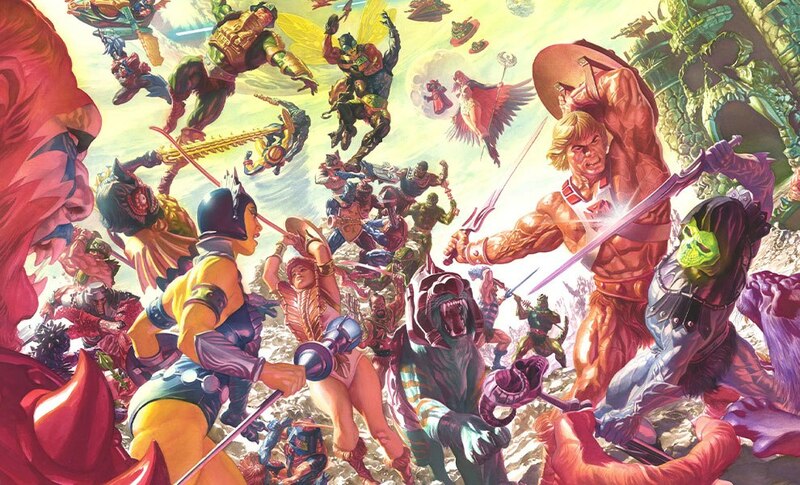 Featuring over 30 characters in all, this vibrant and dynamic illustration captures the spirit and strength of the world of Masters of the Universe. 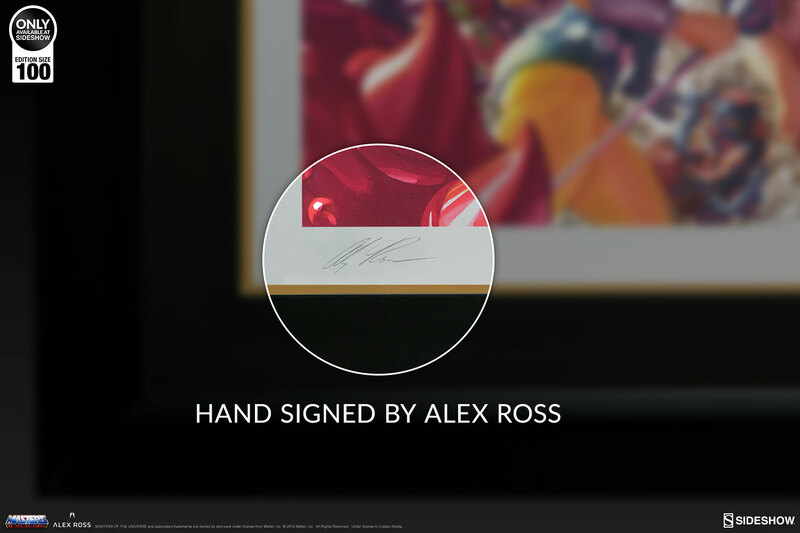 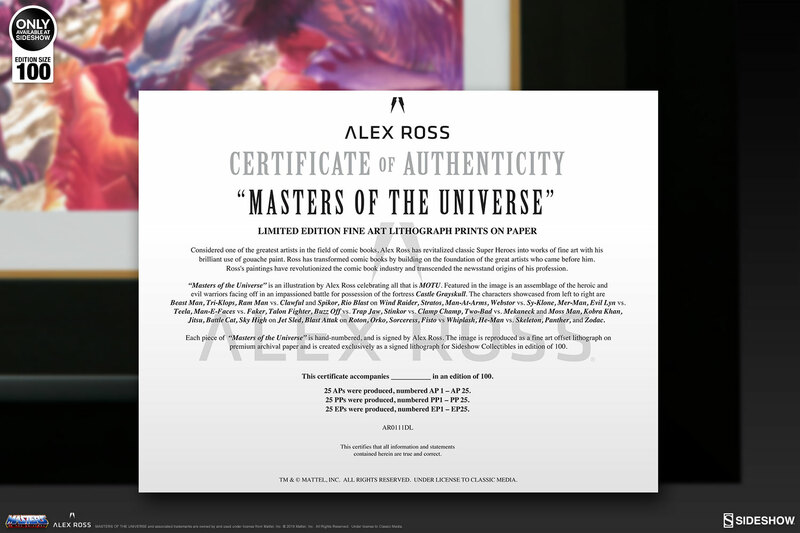 Each Masters of the Universe Fine Art Lithograph will be hand-signed by Alex Ross and includes a Certificate of Authenticity. 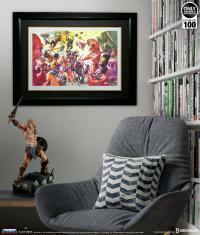 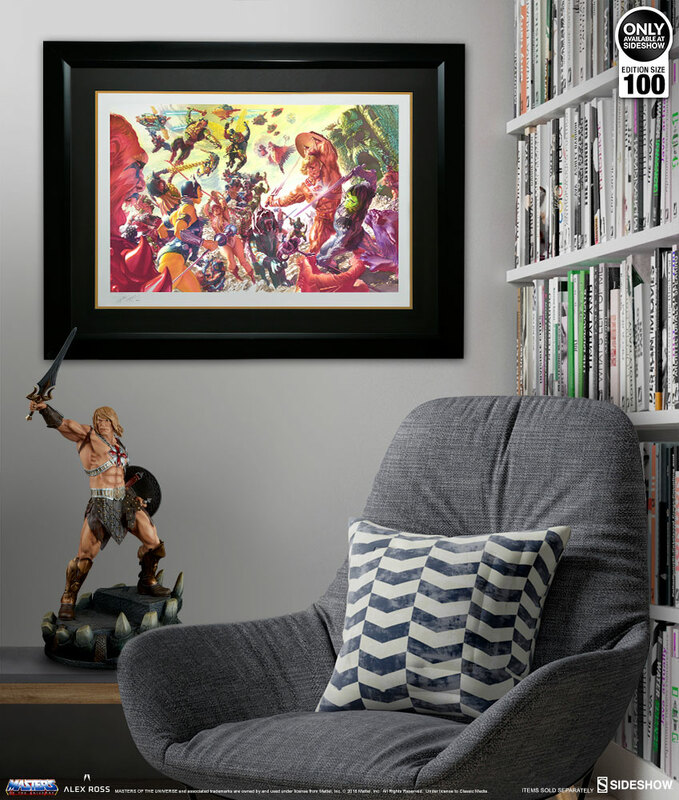 Bring the power of Grayskull to your collection with this must-have MOTU print!